Discover Leuven. The Royal Museum for Central Africa in Tervuren, is just 15 kilometers away. Royal Museum of Central Africa in Tervuren, close to Leuven and Brussels. The Royal Museum for Central Africa in Tervuren. The Royal Museum for Central Africa ( Koninklijk Museum voor Midden-Afrika ) is an ethnographical and natural history museum. It dates back to the time when Congo was owned as Congo Free State (1885-1908) by King Leopold II of Belgium, and the time thereafter when Congo (now known as Democratic Republic of the Congo) was a Belgian colony (1908-1960). The museum was built for the 1897 World Exhibition (Belgium has hosted an astounding number of World Exhibitions, likely a testimony to the industrial prosperity of the country during the late 19th and early 20th century). Besides focusing on Congo, the museum now extends its scope to large portions of Middle, East and West Africa. When we visited recently, despite some efforts, the museum still has a dated appearance, some apparently call is 'a museum of a museum', to indicate how museums looked like in the middle of the 20th century. 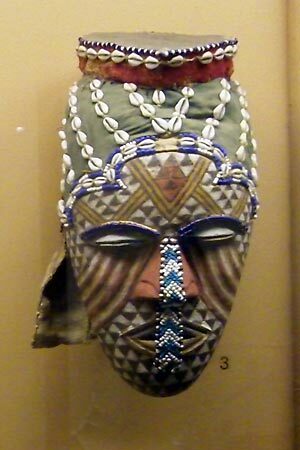 One of the many masks on display in the museum. There are 4 departments : Cultural Anthropology, Geology and Mineralogy, Zoology, History and General Scientific Services. Most interesting are the important section displaying various masks and outfits from the region. Quite a lot of stuffed huge animals are also on display. You will not find much in this museum alluding to the exploitations, the various atrocities and torture that occurred, while King Leopold II owned the huge territory. You can find out about this in the book : "The Dream of the Celt", based on the life of Roger Casement, by Nobel Price winner Mario Vargas Llosa (2010). Flemish author David Van Reybrouck in his bestselling book (will also appear in English soon) "Congo. A History", reportedly also wrote about this issue (we did not read the book yet). As the photos reveal, The Royal Museum for Central Africa is housed in a most impressive building. 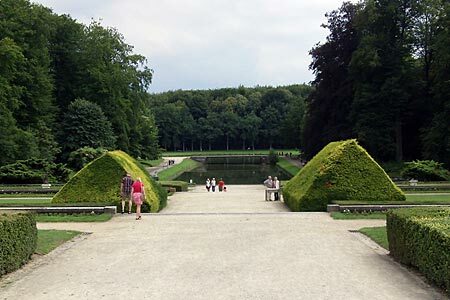 Adjacent is the marvellous and vast Park van Tervuren, which will invite you to a pleasant walk. View towards the vast Park of Tervuren. 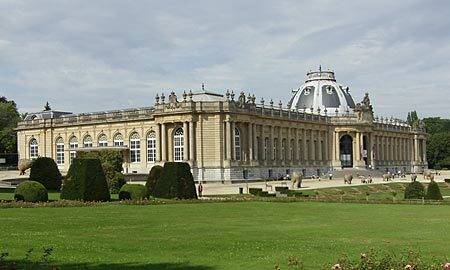 Tervuren and the Royal Museum for Central Africa are located some 15 kilometers from Leuven.